Brewed by Ørbæk who seem to specialize in brewing organic shrug of the shoulder* and forget everyday Danish beer, this time with plagiarism at its worst and brewed for Netto ! That in itself is enough to set the alarm bells ringing. I wonder if the names Brew Hound, Brew Puppy or Brew Mongrel are already taken ? Very weak waft of floral hops on the pour. Golden ale pours cloudy gold with a white head. Fruity on the sweetish intake with floral hops, a light citrus and malt. Not much going on in the finish apart from some mild bitter hops. Quite a nice sweet aftertaste with coriander and camomile. A thin mouthfeel to this one but not over watery. This was a lot better than expected although I had thoughts of drainpour to just drinkable before opening so this I guess ends up as mind numbingly average. I can't complain about the price anyway. 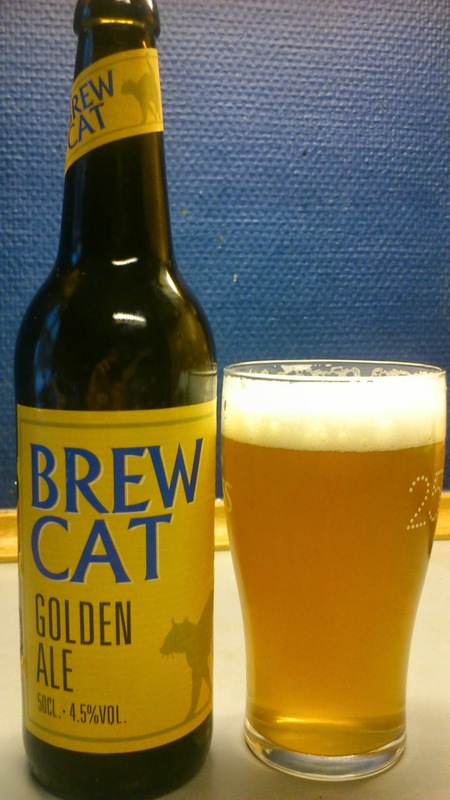 Easy drinking simple summer like ale that is totally inoffensive. Not one I'd buy again though I would have no problems drinking it again if offered a bottle. Not enough aroma off this on the pour to warrant a mention. 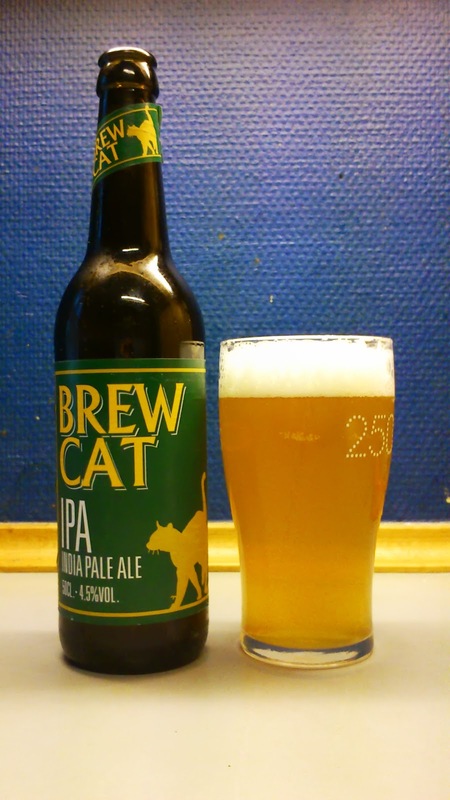 IPA pours a hazy yellow with a frothy white head. Sweet grassy intake with hops and butterscotch with a dry and mild bitter finish. 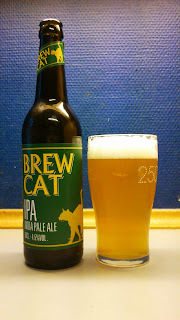 Quite a dull hoppy aftertaste. Although watery it leaves quite an oily feeling left in the mouth. I am not sure where the IPA is in this IPA. It is dull and totally lifeless. Our old friend diacetyl makes a come back with this and that buttery taste clings to the roof of my mouth, implants and all.. It is not one I will be buying or drinking again. Summing up, I thought this was bloody awful. Yet again another shrug of the shoulder brew from Ørbæk. *I did forget that they do brew some decent beer, Fynsk Forår is quite tasty and worth trying. This scored a generous 2/10 on the 'only because it is as hot as hell today otherwise it would be drainpour' Beerometer.